Asiatic Lily Bouquet, photo by Harold Davis. View this image larger. 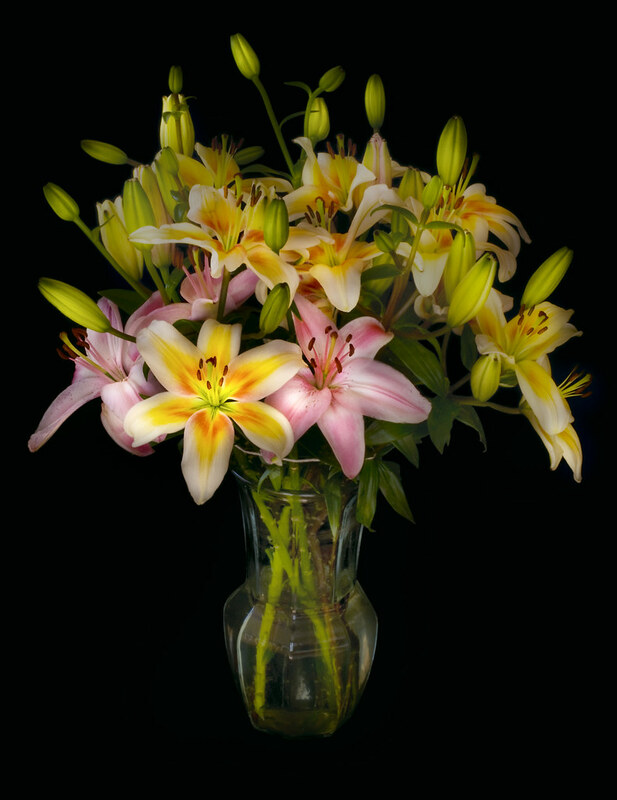 I photographed this interesting mixed Lily bouquet on black velvet, with natural daylight and a tungsten spot. As always in these situations, it pays to “under expose” the photo for a proper “creative” exposure—so the flowers become more saturated and the black background goes truly black. 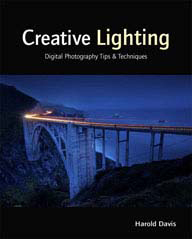 Creative exposures are explained in Light & Exposure for Digital Photographers, pages 118-121. Related images: Lily in a Green Vase, Bouquet of Roses. 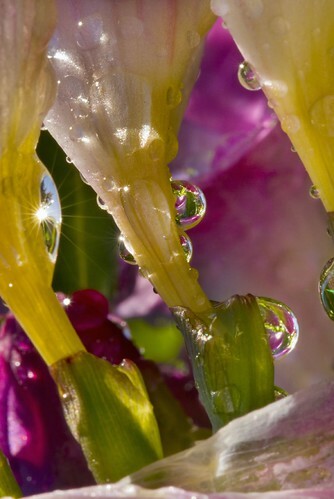 Caught in the Freesia Drops, photo by Harold Davis. View this image larger. After a night of gentle rain I went out into the garden on a bright, overcast windless morning. The patterns in these water drops on the freesias caught my attention (by the way, the shape reflected in the drops is a leucospermum flower). Related stories: Sun Catcher, Sunrise in the Freesia Forest. Nautilus in Black and White, photo by Harold Davis. View this image larger. Finley Eversole contacted me for permission to use one of my chambered nautilus images in his book Art, Death and Transformation, to be published by Inner Traditions in 2009. Based on my conversation with Finley, he’s a man with personal experience of the abstract expressionists. I gather that his book is about the relationalship of the spiritual to art, particularly in the context of mid-twentieth century art. There’s an extensive discussion of Robert Smithson’s famous Spiral Jetty, constructed in 1970 and located in the Great Salt Lake, Utah. 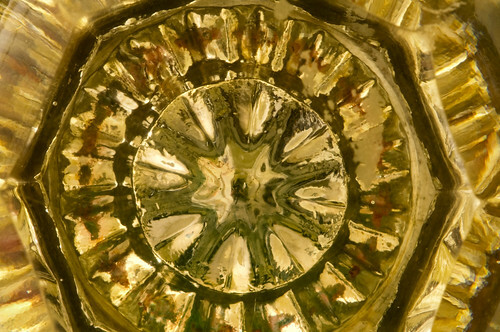 In the context of Spiral Jetty, Finley wanted to illustrate spirals in nature, hence my chambered nautilus image. The catch was that he could only reproduce my image in black and white. Here’s the original image in color (you may notice that the black and white version is rotated). I undertook the conversion to black and white myself because I was afraid that anything like a straight RGB to Grayscale switch would result in a murky image that lacked contrast. Converting RGB to Grayscale simply throws away the color information in the image, much as will happen when you discard the AB channels in LAB mode. Getting a little more sophisticated than this, I converted using a black and white adjustment layer. On the default settings, the results were predicably flat. Using the so-called Ansel Adams settings (explained here) and a channel mixer adjustment layer, I got slightly better results. By the way, my new book Light & Exposure for Digital Photographers from O’Reilly includes a case study that visually shows the impact of various black and white conversion techniques. So I realized I needed to do a great deal of preparation, and essentially change the contrast structure of the image, before discarding the color information. I put the image through a variety of steps, but the most effective was the selective deployment in tritone mode (also explained in Light & Exposure and see Toned), using black, white, and Pantone metallic silver as the three colors. By the way, I am planning to make prints of both the black & white and color versions of this image, so please let me know if you have an interest in owning a print. The spiral represents the unfolding of our hidden creative powers and symbolizes both self-realization and boundless expansion. 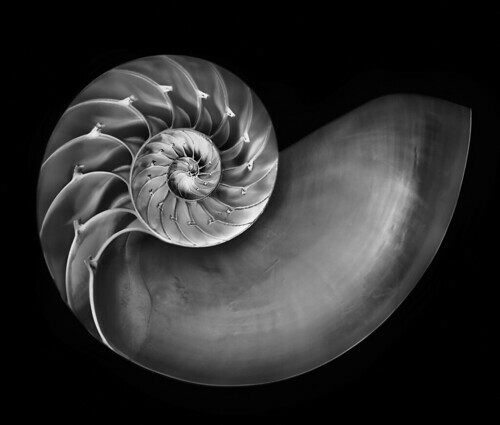 Its secret is beautifully dramatized by the chambered nautilus whose in-dwelling life unfolds cyclically and periodically, mirroring in itself the expanding spirals and eternal patterns of the evolving cosmos. Related stories: Nautilus 69, Spirals, Resistance to Spirals is Futile. Solitude, photo by Harold Davis. View this image larger. 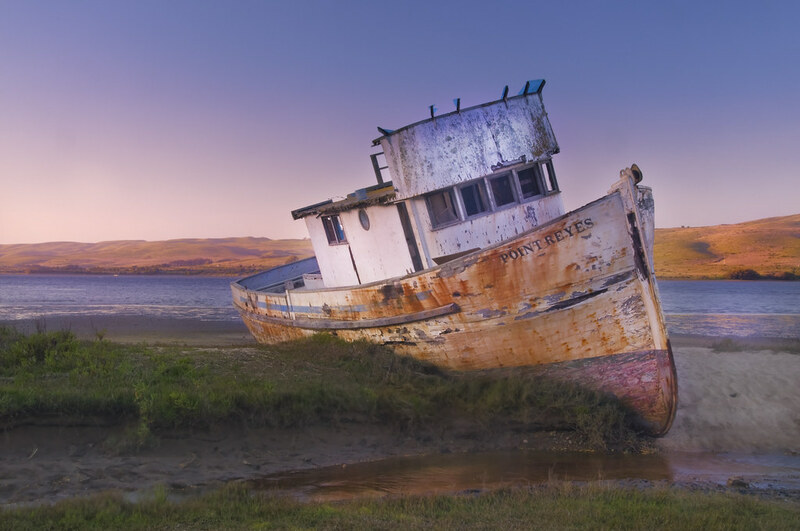 The fishing trawler Point Reyes is forever aground on a Tomales Bay mud bank behind the Inverness, California general store. Along with the Point Reyes Lighthouse, this wrecked ship is a cannonical photostop on the Point Reyes tour, just as McWay Creek Falls attracts photographers visiting Big Sur. In the same way, Tunnel View in Yosemite is nearly always crowded with nature’s paparazzi (but not at night!). I’ve photographed the wrecked trawler before, and she’s even landed on the cover of one of my older books. Crowds at Point Reyes feel far less crowded than at most other places of comparable world-class beauty. Despite the notoriety of the spot, every time I visit the old, wrecked trawler I get a positively wonderful tingle of schadenfreude. The sense of solititude here is palpable and bracing. Coming home from McClure Beach, the light was perfect as we drove through Inverness, and I had to stop for a photo. The kids were annoyed at me because I didn’t let them wade across the channel and climb around on the boat. Then again, they had no change of dry clothes left after wading at McClure, it was getting late, and Julian had already spent many hours climbing around on the Point Reyes in days gone by. It’s hard to maintain that sense of schadenfreude when you have whining kids you need to get home safe and dry. 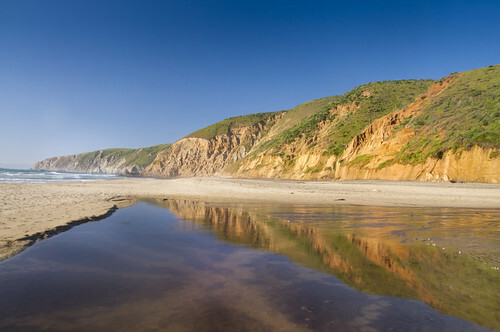 McClure Beach, photo by Harold Davis. View this image larger. Over last weekend I took the kids out to Point Reyes. We explored Pierce Farm, and hiked along the Tomales Point Trail, observing wild iris and Tule elk. Then, about an hour before sunset, we headed down the path for McClure Beach. The big draw for Julian and Nicky at McClure Beach was the creek that flows across the beach this time of year in a series of shallow pools. Turns out that reflections in these pools were interesting to me as well. The boys thought it was hilarious when I planted my tripod in the water. Tough getting them to stop splashing long enough for the water to still and for me to capture these reflections. Two things are special to me about wandering the night with my digital camera. The first is the way I experience night. 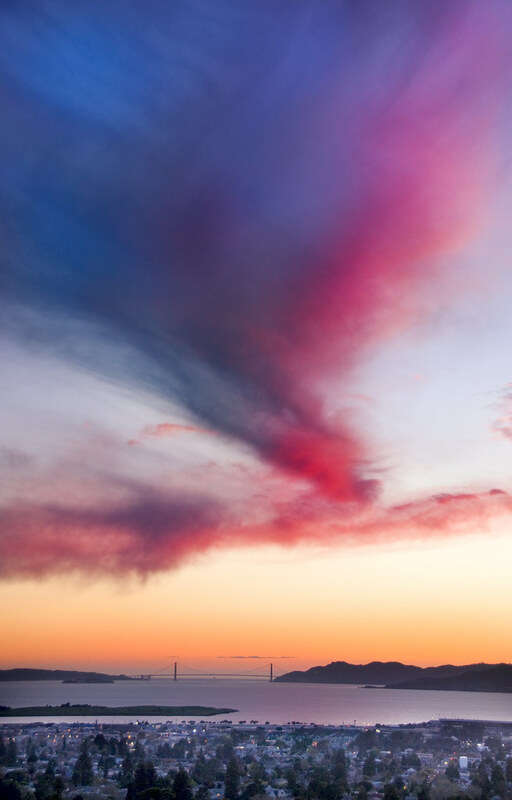 The second is the way a digital sensor can reveal colors and shapes in spite of apparent darkness. As a wanderer in the darkness, I enjoy more freedom of the hills than those who must rush back to trailheads, cars, and lit houses as dusk approaches. There are few humans out and about at night (although there are many animals to be seen and heard). Fellow human travelers in the darkness greet each other like the explorers they are: aliens in a vast territory as strange to most people as the depths of the ocean or the reaches of space. 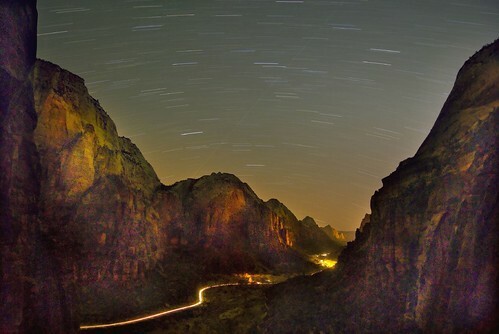 Alone in the darkness of night, the stars wheel and individual car lights make a big impression as in this twenty minute exposure of Zion Canyon. Some early experiments with digital photography at night taught me that sensors pick up light waves beyond the ranges of human perception. It still astounds me that these photos of Point Reyes were taken in almost complete darkness. Well after sunset, there’s radiation our eyes can’t see bouncing off water, cliffs, and sky. This makes the combination of night wandering and digital photography unbeatable. While digital photography at night in the city doesn’t involve the heroic exposure extremes of nature photography at night, there still are unexpected and unusual rewards. Night photography has always been an area for creative experimentation. With the advent of digital photography, and its expanded dynamic range and light sensitivity beyond the visible spectrum, Harold Davis, the creator of www.digitalnight.us, takes workshop participants into the digital night. During an orientation session, techniques, equipment, and night safety issues are covered. Moving outdoors, workshop participants will create night-time captures. Regrouping the following day, digital post-processing of night captures in Photoshop will be thoroughly demystified. Work will be evaluated in the context of personal creative goals. A second night shoot gives participants the opportunity to put into practice the night skills they have learned. We will learn to make spectacular photographs of the San Francisco skyline at night, as well as quieter photos of the landscape of the night by starlight. Night covers the globe half the time. Surprisingly to many, photographic opportunities with digital equipment are as exciting during night as the day. Awake to the freedom of the night! Bring your energy and creativity, and expect to have a great time. You’ll go home with great images and the skills to capture night photos while the rest of the world sleeps. Related link: Digital Night by Harold Davis. 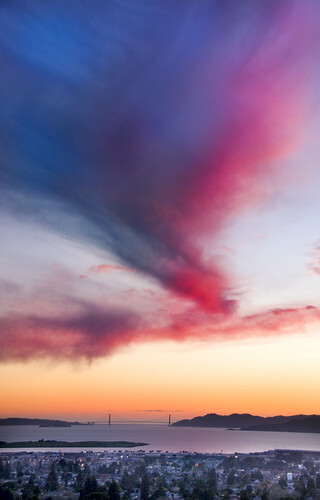 San Francisco Sunset, photo by Harold Davis. View this image larger. I was able to get away the other day for an hour around sunset. The clouds viewed from Indian Rock were very special. Watching a sunset with serenity without kids leaping all over me like a bunch of puppies is a simple pleasure. Who knows, had I taken this photo prior to going to press, this might have been one of the 100 Views of the Golden Gate! This is an unmanipulated photo of a glass door knob. I’m mentioning that this is a straight photo as I have photo composition designs upon this door knob in which it will become one element in a greater whole. Time permitting, of course. The door knob sits in a dark hallway, in this photo lit at the middle of the day by ambient sunlight from both sides. I tried lighting the knob with flash, but the wonderful internal spaces of this object disappeared. So I made due with a time exposure and the dim available light. I’ll be giving two workshops in 2008 under the auspices of the Point Reyes National Seashore Association. Please consider joining me on Saturday, June 14 for a one day intensive seminar in digital landscape photography (on-line course registration). The weekend of September 12-14 will see us rocking to the music of the stars in a great location for night photography (on-line course registration). 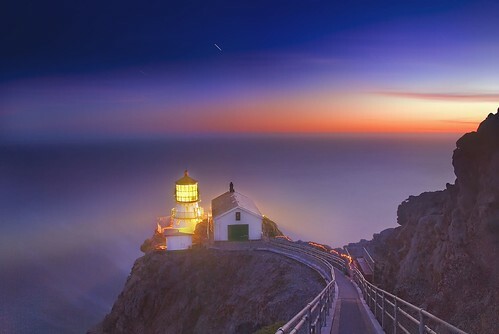 You’ll find course descriptions below my photo of the Point Reyes Lighthouse at night. Point Reyes provides one of the most spectacular and varied landscapes in the world. Bring your digital camera to this workshop and expand your creative horizons by engaging in a photographic conversation with a master of digital landscape photography. Harold will present and discuss some of his own work, and explain concepts of light and exposure in the context of your personal creative goals. The special challenges and rewards of the Point Reyes landscape will be covered before heading out into the nearby fields for a guided photo shoot. 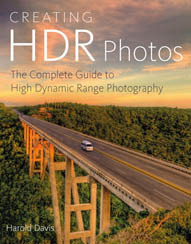 We will then regroup to discuss our work in the light of our individual goals in landscape photography. Night covers the globe half the time and—surprising to many— photographic opportunities with digital equipment are as exciting at night as they are during the day. Night photography has always been an area for creative experimentation, but with the advent of digital photography, and its expanded dynamic range and light sensitivity beyond the visible spectrum, the time has never been better to experience the freedom of the night. Harold will cover techniques, equipment, and night safety issues during an orientation session before moving outdoors, where we will create night-time captures. In the morning, we will regroup to demystify digital post-processing of night captures in Photoshop and to evaluate our work in the context of personal creative goals. A second night shoot gives participants the opportunity to put into practice the night skills they have learned. We will learn to make beautiful images of the landscape after sunset, and take advantage of the extraordinary night environment and absence of light pollution within Pt. Reyes. You’ll go home with great images and skills to capture night photos while the rest of the world sleeps. Accommodations included at the Education Center. San Francisco City Hall, photo by Harold Davis. View this image larger. 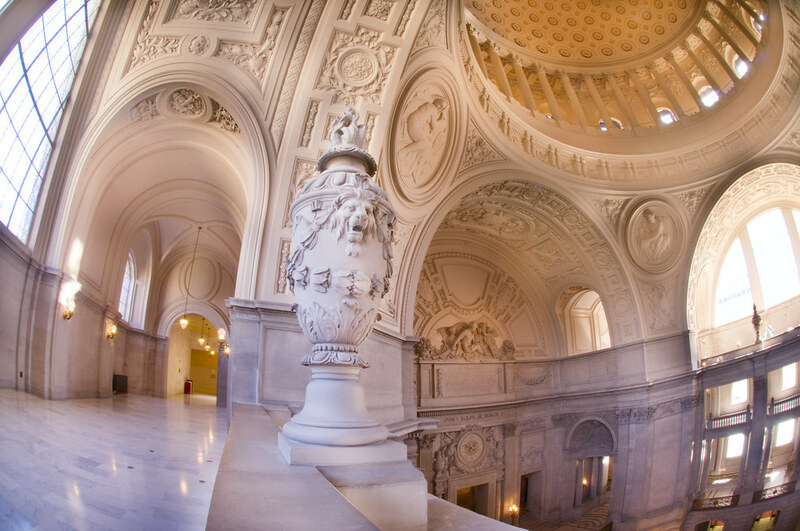 They say you can’t fight City Hall, and in the case of this beautiful neo-classical San Francisco building from the 1930s where so many weddings take place, why would one want to? The main challenge for me with this relatively straight digital photo—or as straight as one can be with a digital fisheye—was to not over do it and get caught up in some baroque Photoshop game. After all, the architecture is quite bombastic all on its own. Close Encounters with Calypso 2, photo by Harold Davis. View this image larger. In Greek mythology, Calypso was a water nymph. In ancient Greek, calypso (Καλυψώ) was a form of the verb “to conceal” (or “to hide”) meaning “I will conceal.” Calypso kept Odysseus imprisoned for seven years on an ocean island; it’s easy to read Homer to take this as a kind of sexual slavery, and according to some accounts (e.g., Hesiod) they had two children together. Odysseus, of course, eventually returned to his Penelope. 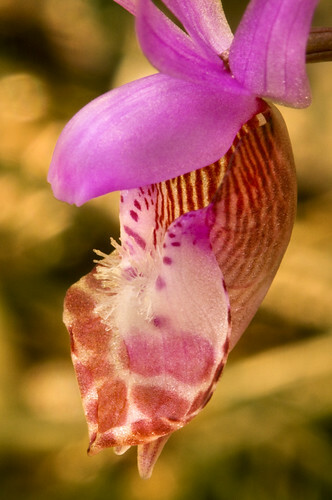 The elusive and tiny flower that bears a name with all this mythological freight, and takes me back to my high school classical studies, is of course the Calypso orchid, Calypso bulbosa, commonly called a Fairy Slipper. It’s found on the forest floor on the upper slopes of Mount Tamalpais this time of year (the two shown in this story were photographed along the Cataract Trail). The flower is hard to see, most often growing among detritus of the forest floor. It’s not until you examine it carefully and up very close that you see the wonderful colors, transparency, and shapes. Up close and personal, the Calypso orchid looks to me more like an ocean critter than something found near the earth. Perhaps that’s the reason for the Calypso name. Whatever the reason for the name, it was wonderful for me to take off to the mountain slopes after dropping the kids off at school yesterday. With a heavy pack and two tripods (the Low Pod was great for working with these close-to-the-ground flowers), I hiked down to Cataract Falls and back under a day of variable but wonderful skies. 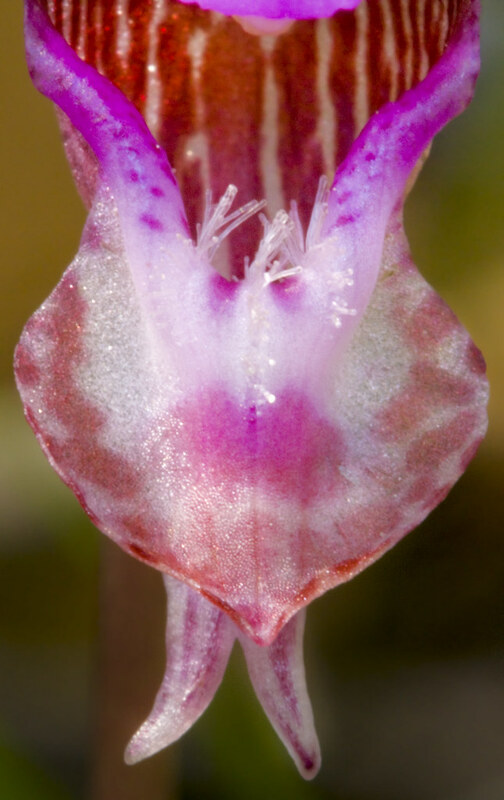 I enjoyed spending an hour on my belly in the dirt during a close encounter with a patch of Calypso orchids, with some of the results shown here, then packed up my gear and headed to pick up the kids. I know that many things are done in bed, but I think it is kind of unusual to review the proofs for a book in that location. But Phyllis is pregnant and on bed rest, so we had no choice but to spread the proofs out where she was. 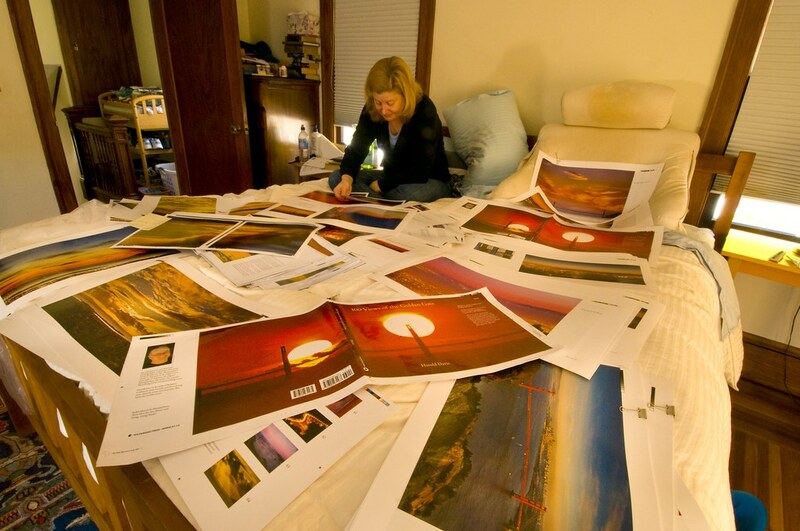 You can’t really tell that Phyllis is gravid in this photo, but you can see both imposition and color proofs for my 100 Views of the Golden Gate. Related links: 100 Views of the Golden Gate; Book Imposition; Press Proofs. 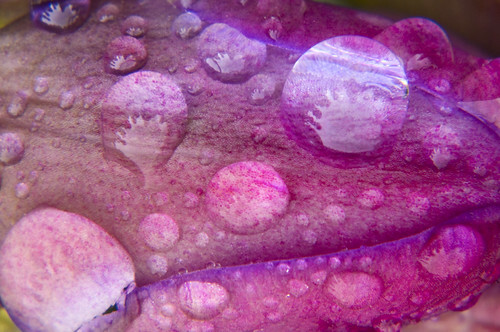 Wet Leaf, photo by Harold Davis. View this image larger. I saw this small leaf with water drops in our side yard and couldn’t resist taking the time to photograph it. 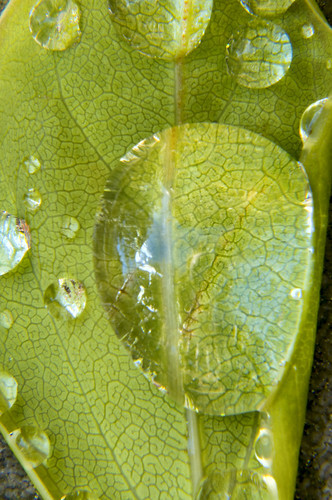 Related photo: another wet leaf macro. Vertigo, photo by Harold Davis. View this image larger. I lay down at the bottom of the spiral staircase shown in After the Wedding. With my tripod fitting clumsily in a tight corner of the stair, I used my digital fisheye to take a vertiginous photo up the stair well. 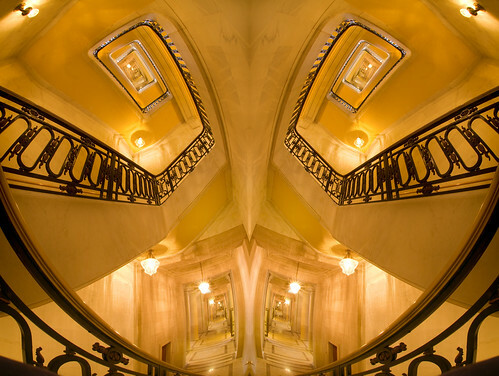 In Photoshop, I layered in an extension to the hallway and replaced the skylight at the top of the stairs. Finally, I duplicated the image and flipped it horizontally. I pasted the original and the flipped version together to create a symmetrical, but twisted, abstraction. Study in Camellia, photo by Harold Davis. View this image larger. Sometimes simple is best. This is a straightforward, unmanipulated shot. 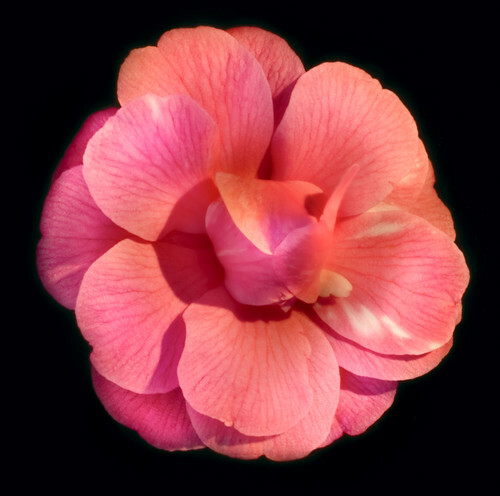 I used basic lighting and a black background to photograph this heirloom pink camellia blossom from above. No tricks here, just a beautiful flower.